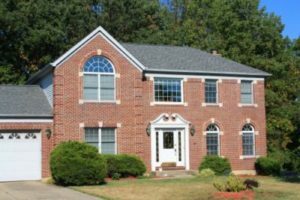 Of all the home improvement companies in and around the Cincinnati, Ohio, area, few are capable of the high standard of work Advantage Roofing & Home Exteriors provides. In business since 2001, we have spent years updating homes to better meet our clients aesthetic preferences and needs. Our commitment to our customers has earned us the reputation of being the area’s trusted, reliable, and recommended home improvement company and an A+ rating with the Better Business Bureau. What’s more, we stand out from other home improvement companies in the area due to the premium products we sell and install. We offer visually appealing, built-to-last, and low-maintenance products that are great investments. For instance, we can provide clients with impressive roofing from CertainTeed, which means the asphalt shingles we offer are available in a great selection of rich, vibrant colors that won’t fade over time. Additionally, these shingles are resistant to winds up to 110 miles per hour. At Advantage Roofing & Home Exteriors, we pair some of the best products on the market with top-notch installation services. When you partner with us for your home improvement project, you can look forward to having talented and friendly professionals handle the entire installation for you. We are so confident in the work and products we provide, we back our labor and commodities with impressive warranties that are good for up to 50 years. If you would like to learn more about how we stand apart from other home improvement companies in the Cincinnati, OH, area, contact Advantage Roofing & Home Exteriors today. One of our knowledgeable associates will be happy to answer any questions you have.